Green Facade or Living Wall: What’s The Difference? Whether you call them Green Walls, Green Facades, Living Walls, Vertical Gardens or something else again, they are all essentially a means for growing plants in a vertical arrangement rather than a standard, horizontal set up. The main difference between all the types of living walls is the structure that the plants grow on. A green facade will generally have climbing plants weaving themselves in and around a framework of mesh, wires or cables. Living walls usually contain potted plants rather than climbers. They are pre-planted in boxes, tubs or trays and then hung on a wall vertically. Several factors should be taken into considerations when you’re deciding which kind of living wall will work best for your project. The load-bearing capacity of a wall needs to be determined by a structural engineer before planning a living wall, and the building’s construction, condition and weight loading capacity need to be considered. If the existing structural capacity of the building is not going to meet the requirements, some retrofitting will be needed. It is important to plan for the full weight of mature plants. Many living walls act as thermal insulators and can provide shade and cooling benefits in summer. This, in turn, reduces artificial cooling needs and the financial costs associated with air conditioning. The difference in temperature in front of and behind the facade can be 1.4C cooler in summer, and 3.8C warmer in winter, and it’s all due to the foliage absorbing light and heat energy. 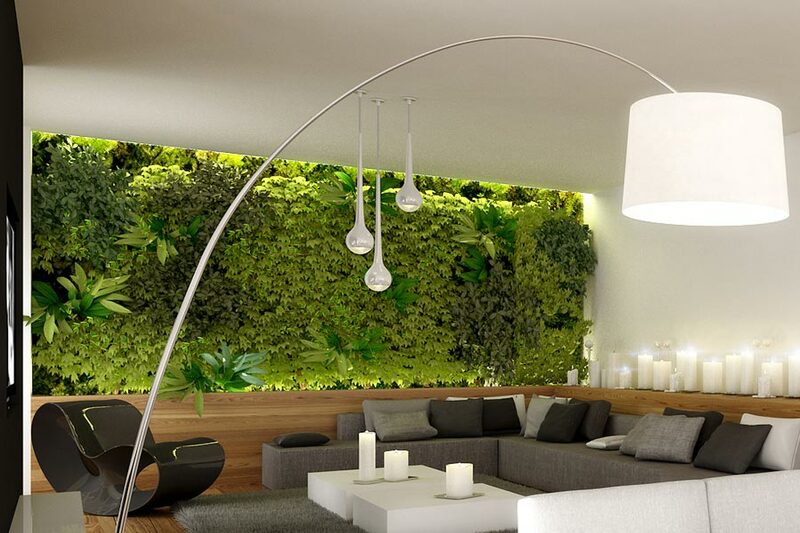 Living walls also improve the air quality of the immediate environment and create a microclimate of air next to the wall even when the stems of the plants are bare. This goes a long way towards reducing the energy budget of a building. Depending on the size of your project and the condition of the existing wall, there are going to be different costs associated with the substrate you choose. Professionally installed green facades may have additional construction costs particularly if the structure needs reinforcing, waterproofing or additional drainage and where the existing water supply is and how difficult access is. Determining whether you need a green facade or a living wall, and the characteristics that will make up the wall, all need to be taken into consideration when you are planning your project. For more clarity around your needs, speak to us on 0448 440 999 or contact us here.